Addiction affects all aspects of a person’s life, including mental, physical, and spiritual health. Drugs and alcohol change the brain’s chemistry and lead to dependency and addiction. People often use drugs or alcohol to cope with stress and devastating circumstances. Improves health. The physical act of writing is calming. It soothes the soul and is a healthy activity that lowers anxiety and stress while promoting critical thinking. Journaling helps you look deeper into your feelings with a clear, sober mind. It also gives you time to reflect on your experiences. Helps avoid relapse. Staying sober each day is a huge accomplishment. When you keep a journal, you can see your success in sobriety. Journaling reduces the risk of turning to drugs or alcohol to cope with stressful situations. 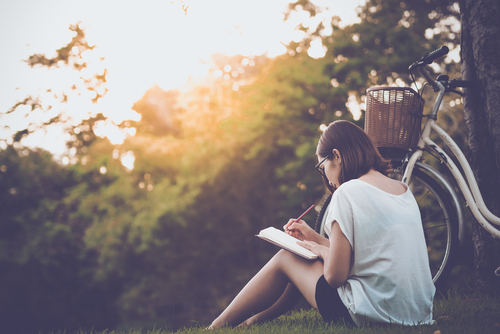 Journaling allows you to reflect on previous challenges and see what caused thoughts of relapse, how you were feeling at the time, and what you did to avoid it. Increases motivation. Instead of turning to substances to cope, writing improves mental health and relieves anxiety and stress. Writing is a productive activity that helps counselors and clients identify emotional concerns. Improves confidence. Writing is an emotional outlet that you can use in treatment and in recovery. Addiction changed the way your brain works. The substance-controlled brain does not have the ability to remember important events, dates, and family gatherings. Writing boosts communication and improves memory. Mindfulness can be cultivated through writing, which improves planning and cognitive function. Journaling is a great stress relief activity and is helpful in restoring mindfulness and spiritual awareness. Keeping a journal will help you transition into a new, sober lifestyle and improve your mental and physical health. If you or a loved one is struggling with addiction, get help now. Do not wait another day. Make the life-saving decision to begin a new, sober, healthy life in recovery.